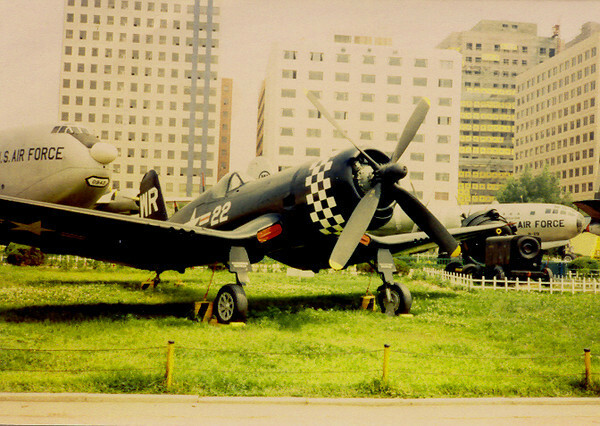 The actual last Corsair Dad flew in WWII sitting outside in dowtown Seoul Korea's American Military Museum. How cool is that! !